Guess what....?! 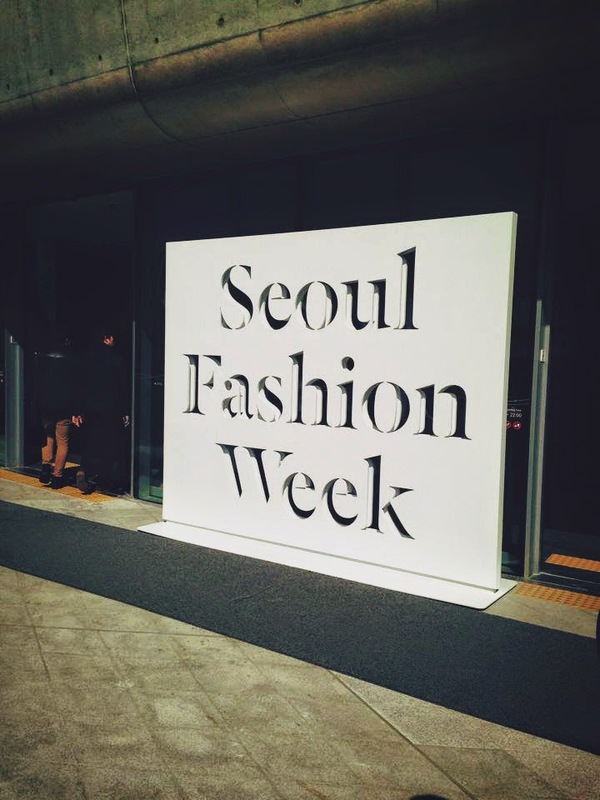 It's Fashion Week in Seoul! Of course I am no VIP who gets a golden invitation, especially not in South Korea... but! 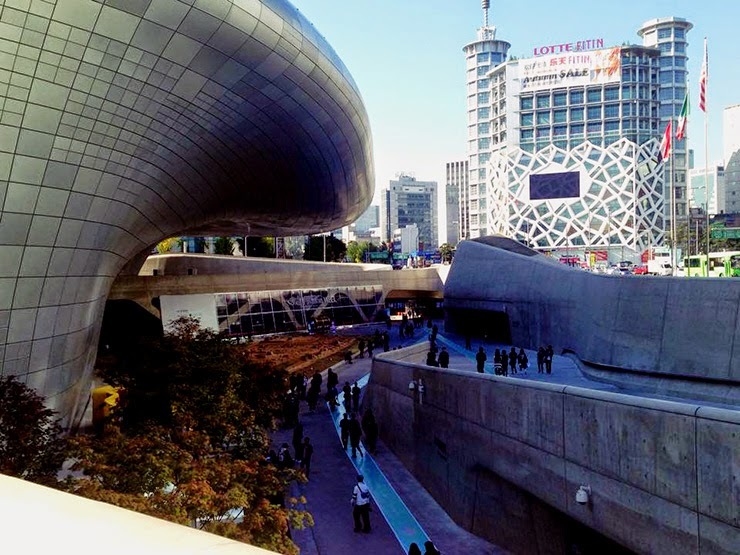 Dongdaemun where all the action is happening is very close to my university and I have to cross it a lot anyway so I thought I would take a short look behind the scenes. I have to say that Koreans are one of the best dressed people in general that I've encountered, closely followed by the Japanese. You can really see that most people actually think about what to wear and what to pair it with instead of just grapping something when they're in a sleepy delirium. 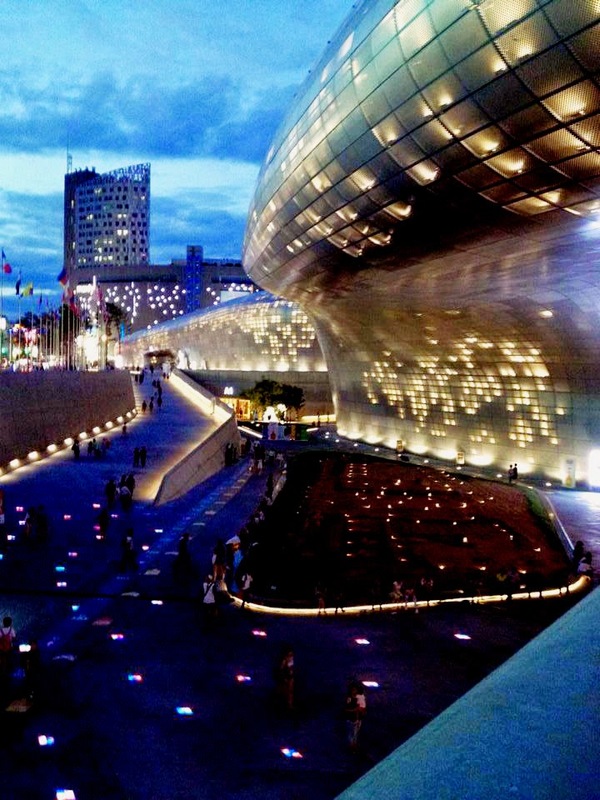 The fashion week in Seoul takes place at the Dongdaemun Design Plaza which in itself is a super gorgeous piece of architecture and very fitting for an event that lives from art in my opinion.